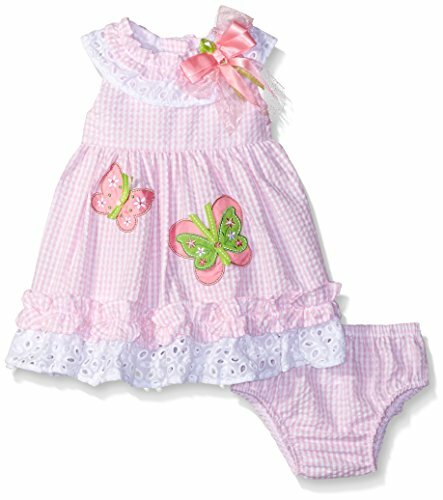 Pink check seersucker tiered dress with butterfly appliques. 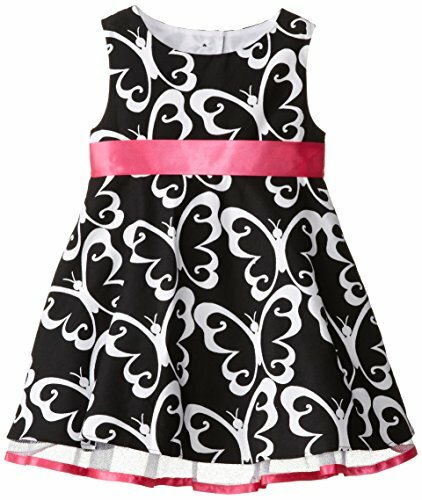 100% cotton dress and capri with lining 80% polyester, 20% cotton. 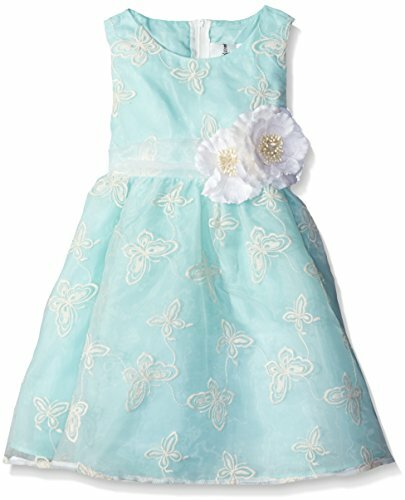 This cute white sleeveless dress has three applique and grosgrain ribbon butterflies in yellow, hot pink, and turquoise. 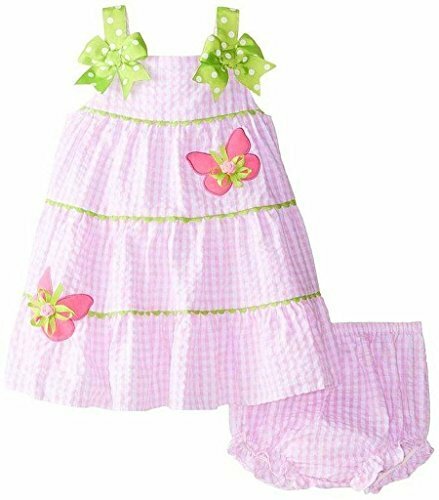 Large turquoise rick-rack on the bottom of the skirt just above the lime green grosgrain ribbon ruffle. 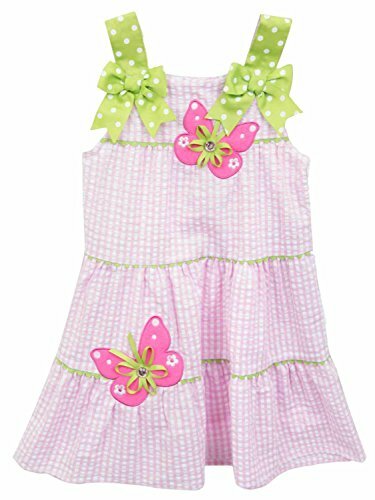 Lime dot bows on each side of the neckline. Button in the back. 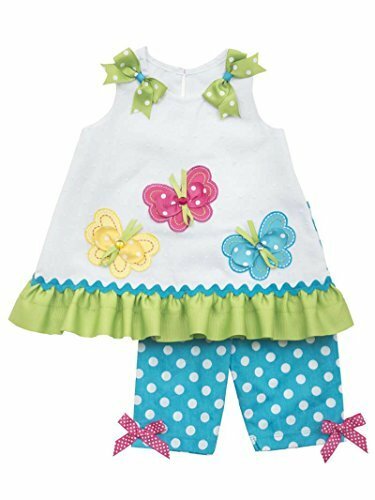 The pull-on style capri are turquoise with medium size white polka dots. 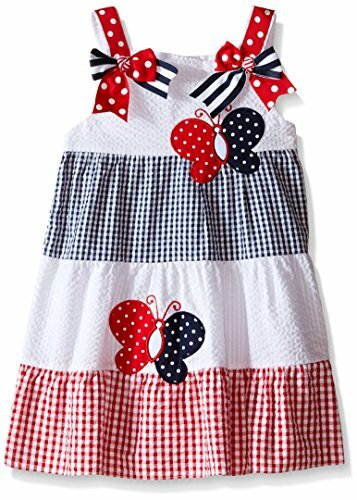 Patriotic seersucker butterfly dress set. 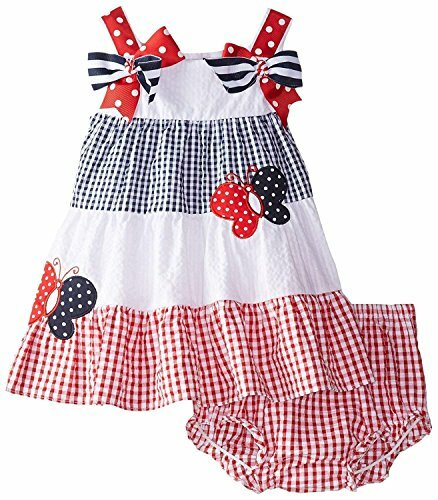 Two piece gingham butterfly dress set. Did This Woman Steal a Rare Blue Butterfly While Dressed Like One?